Given the time of year, there's a lot of talk about engagements—from the high-profile engagement of the royal couple to those infiltrating our Instagram feeds. But one of the most interesting things about engagements is what the ring looks like. And with a new year approaching, we decided to go straight to the source to find out what the most popular engagement ring trend will be in 2018. 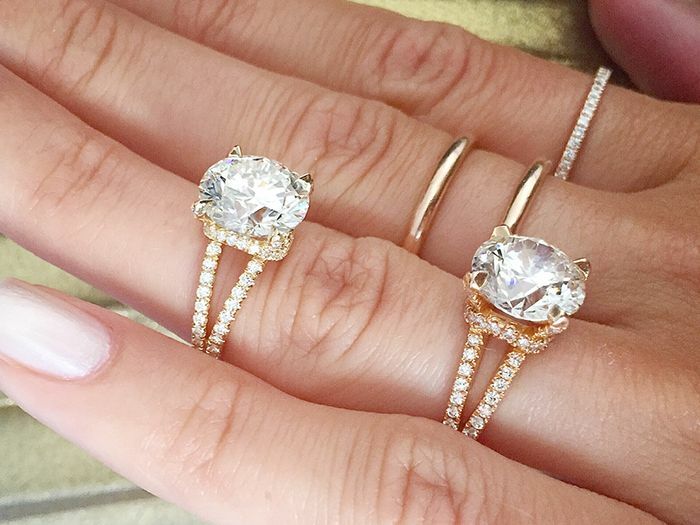 We enlisted the help of NYC-based private jeweler Stephanie Gottlieb. Gottlieb, whose Instagram account is as drool-worthy as they come, told us, "I think due largely to how easy it is to shop engagement ring designs online and build Pinterest boards of creative designs for inspiration, a lot of my clients are wanting to reinvent the classic designs that they see in almost every picture when you google 'engagement ring' and to add their own spin on those classic designs. For example, I've now done a few split-shank designs where the bands run parallel to each other and the stone separates the two bands. These styles incorporate classic designs in less traditional bridal ways." She added, "Another newly popular style for us has been this crisscross design, which takes the traditional element of the X design and adds an additional fashion-forward layer to it." Coincidentally, Sophie Turner debuted a split-shank engagement ring of her own this fall. Scroll down to shop split-shank and crisscross engagement rings. 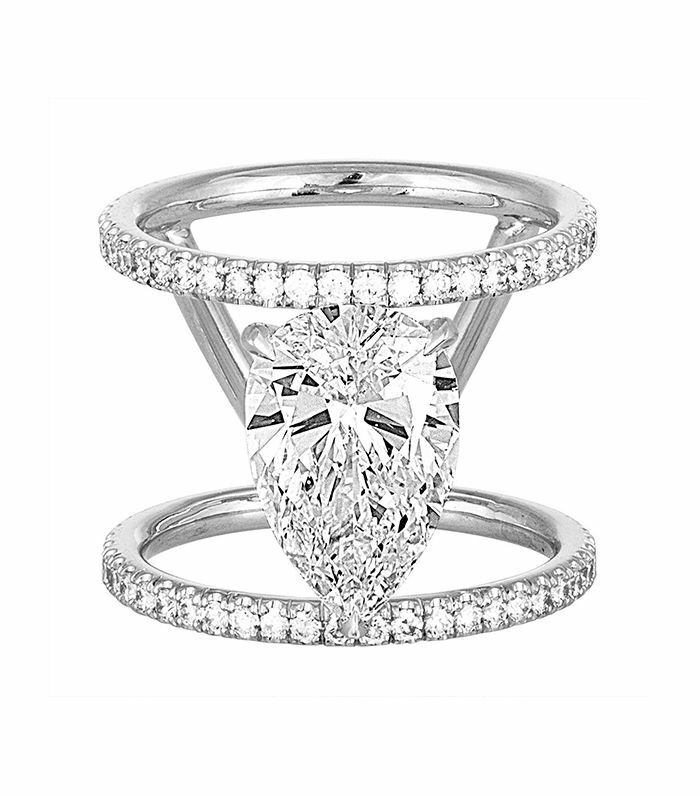 This stunning bauble can be made in platinum or 14K white, yellow, or rose gold. The shape and color of this center stone are so eye-catching. Imagine how stunning this looks when it catches the light. This one almost has a vintage quality to it. Want something with more style than sparkle? Consider this cool, sculptural option. There's a lot going on with this one—and we love all of it. The raw feel of this ring makes it unique. Who says an engagement ring has to be expensive? Two bands are better than one. Opals are definitely having a moment right now. Sapphires feel just as classic as diamonds. This morganite ring is just the right amount of modern. You need to see this ring from every angle. This raw center diamond is a whopping 4.17 carats. Calling all lovers of art deco design. Fashion girls love how understated and cool this designer's rings are. More bands mean more diamonds, right? This is an heirloom in the making. This simple sapphire ring would look stunning with a white diamond wedding band. Next up, shop 50 nontraditional wedding dresses.